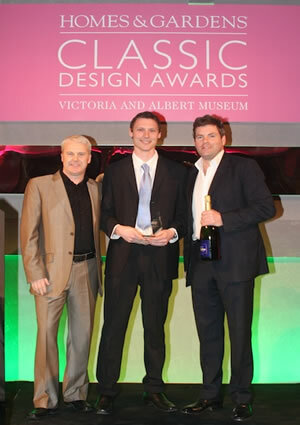 Jason has been awarded the highly prestigious Judges' Award at the Homes and Gardens Classic Design Awards ceremony at the Victoria & Albert Museum. This award is presented to the nomination that is 'considered by the judges to be the most outstanding design from all six categories'. The Judges Award followed Jason being given the Young Designer's Award, given to 'identify and reward talent among newcomers to design'. Jason was awarded Furniture & Cabinetmaker Magazine Young Designer of the Year 2009 for his piece 'Infinity + 1' which was judged as being 'an innovative domestic design that shows clever use of materials, yet is commercially viable'. 'Infinity + 1' was highly commended by an esteemed panel of judges in this prestigious and internationally recognised, professional competition. The aim of The Wood Awards is to recognise, encourage and promote outstanding design, craftsmanship and installation in wood.